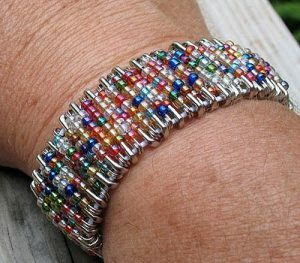 Have you ever thought that the ordinary safety pins could be used to make enchanting bracelets with myriad shades of beads? There are tons of creative ways to design these gorgeous wrist armors and the list of tutorials to make one have been provided below. 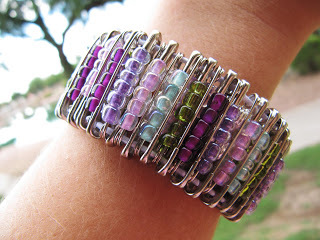 Check them and share your experience. 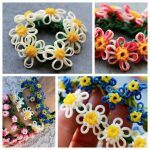 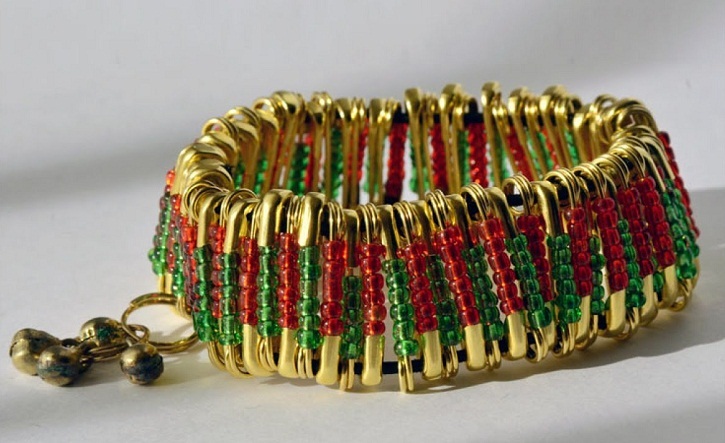 Super chic is the apt word to define the bracelet made from materials that are inexpensive and always available in a craft store or a thrift shop. 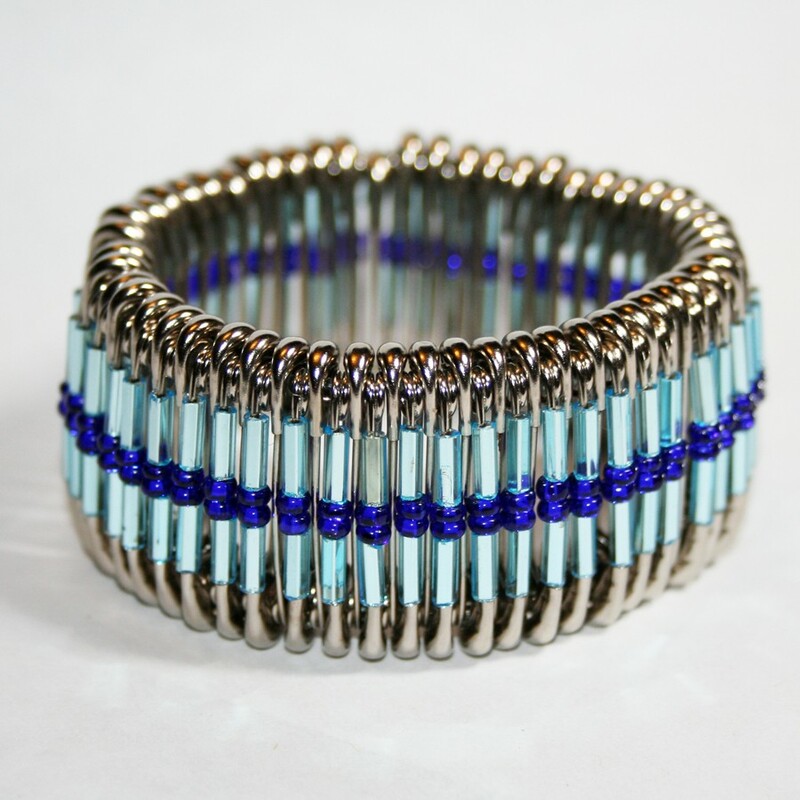 A combination of dazzling glass beads and a bunch of safety pins strung to the elastic thread ends up in an admirable wrist accessory fit for any outfit. 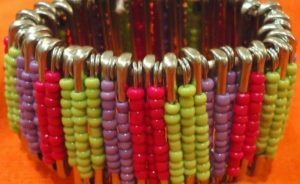 Threading the safety pins in a kaleidoscopic pattern, you can insert cute trinkets for making a versatile piece for embellishing your hand. 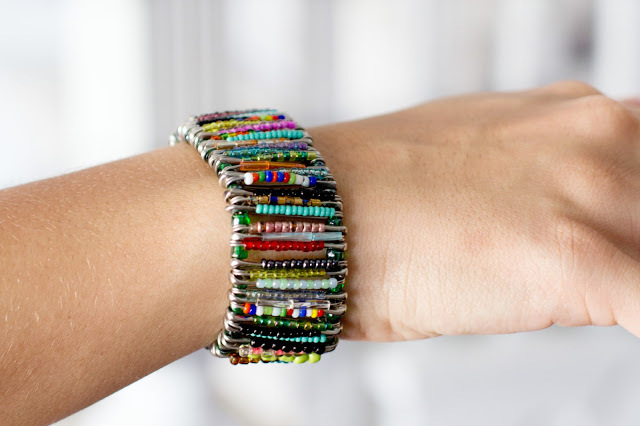 Rather than overcrowding the beads, maintaining a considerable distance between them makes the bracelet appear neat and elegant. 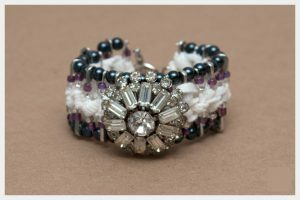 A praiseworthy creation with black and white beads tactfully arranged in such a way to give a classy finish sans any ostentatious decoration. Flaunting the various shades of pink the wristband adds a girly touch to your casual attire, turning you into a diva for the day. The transparent glass beads juxtaposed with the black ones gives a contrasting effect adorning the arms. 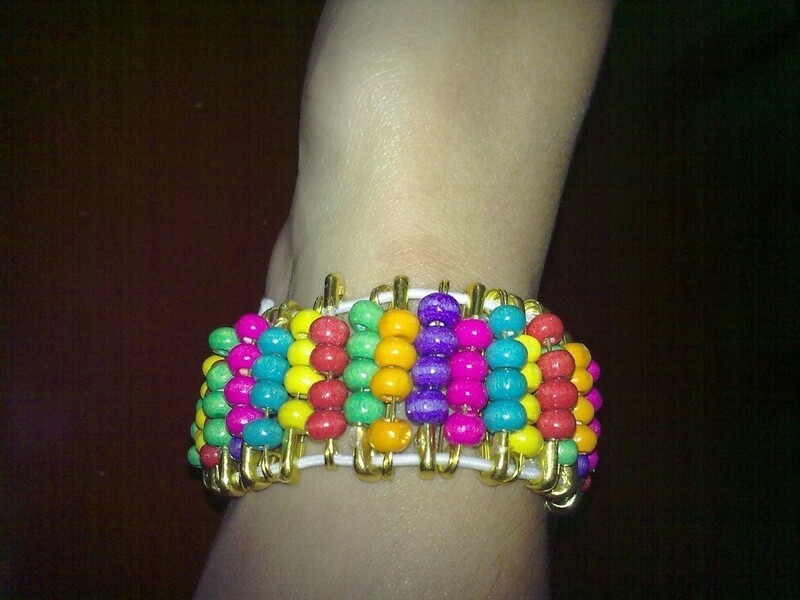 Who says the polychromatic pattern is not aesthetic and classy? Going well with every ensemble the sterling wrist accessory is made from stringing multihued glass beads. 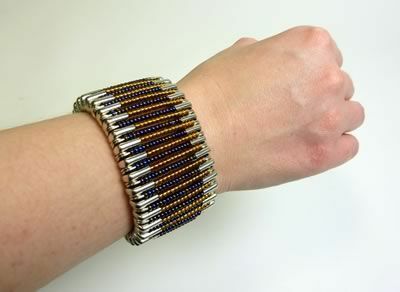 The beaded armor has nothing much to display, but it looks extravagant for its unique design and simplicity. 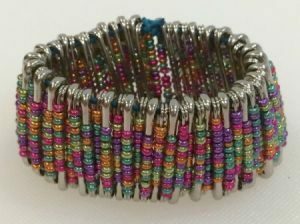 Have a look at the tutorial to learn the trick of stringing the safety pins with bright-colored beads for making a bold style statement. 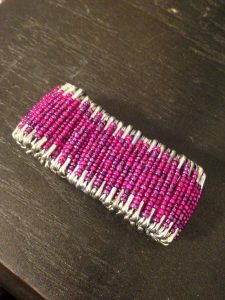 The large beads and safety pins inserted with the smaller beads are alternately threaded to the string followed by weaving a long strip of soft fabric around the bracelet. The finishing is done with a glossy brooch. 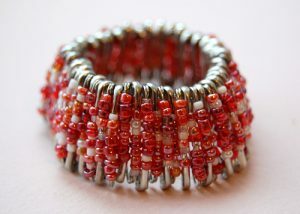 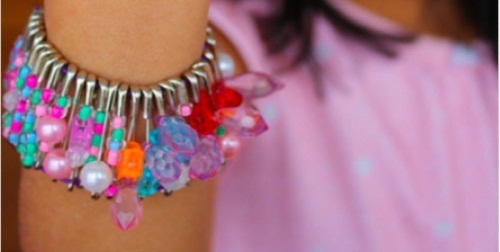 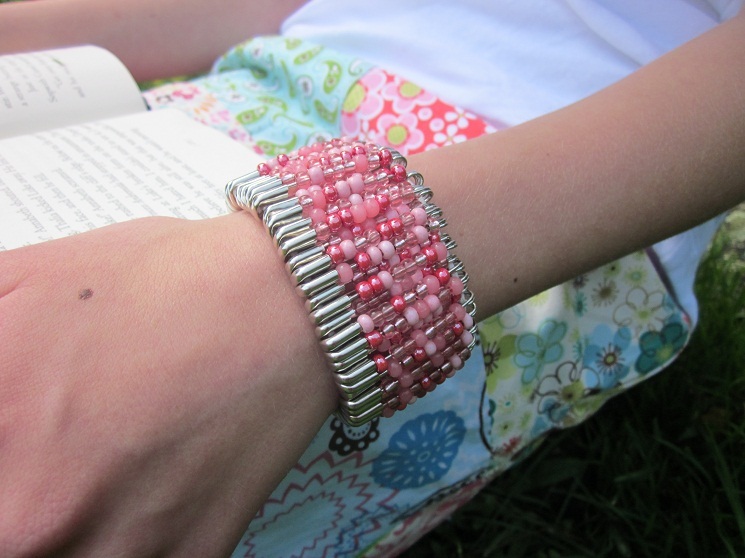 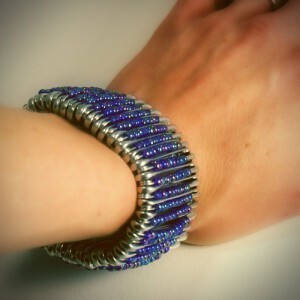 Golden safety pins and tiny colorful beads when wrapped around the wrist looks anything but clunky. 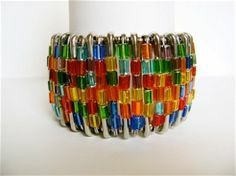 The pops of color your forearm displays donning the bracelet reveals a flamboyant side of your personality. 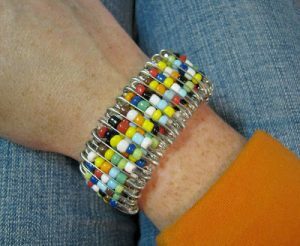 Clumsy as it may look, give the bracelet a shot on your wrist as the blend of safety pins and buttons is bizarre yet boho-chic. 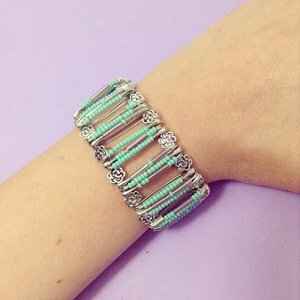 The chunky beads are sequentially arranged in a different pattern on each pin leaving everyone enamored when it clings to your forearm. 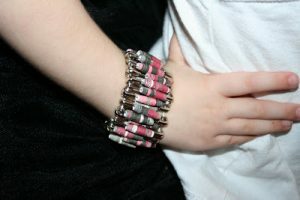 A dangle clamped to the wristband is the last leg of the DIY project to be accomplished for a graceful touch. 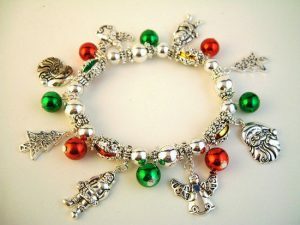 Akin to the ornaments hanging from the Christmas tree, the bracelet can be given a quick makeover with a bauble. 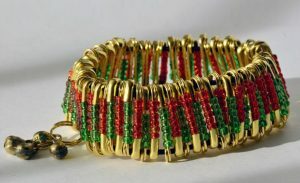 Try it out with red and greens beads, synchronizing with the festive colors. Pick beads of varied sizes and slip them into the pins for expressing a magnificent appeal while giving the perfect fashion treatment to your wrist. 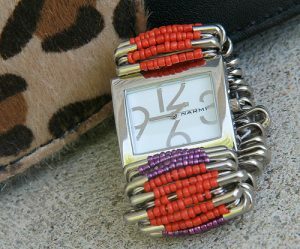 When you have an old watch with a worn-out band, the only solution is to use your creative skills to restyle it. 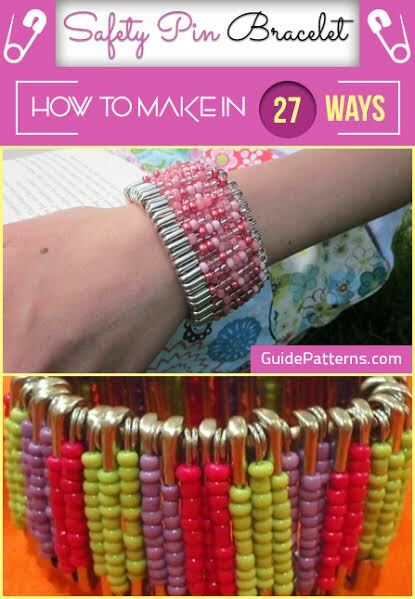 So why not string it to the safety pins along with seeds beads for a fun addition? 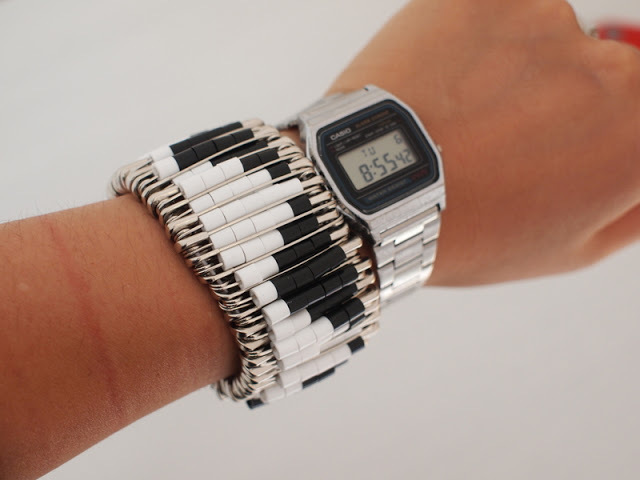 Master this pattern if you are eager to gift your soul sister a fashionable accessory that will be cherished for a lifetime. 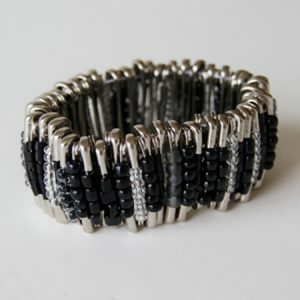 The monotone bracelet exudes glam and simple beauty for a minimalist look lending a personalized style. 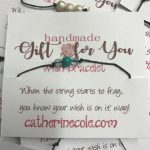 So are you impressed with the gallery of DIY arm accessories that have been made with the otherwise ordinary safety pins lying on the dresser? As always, there are many more patterns you can try with numerous beads, sequins, and other ornaments, and share with us.